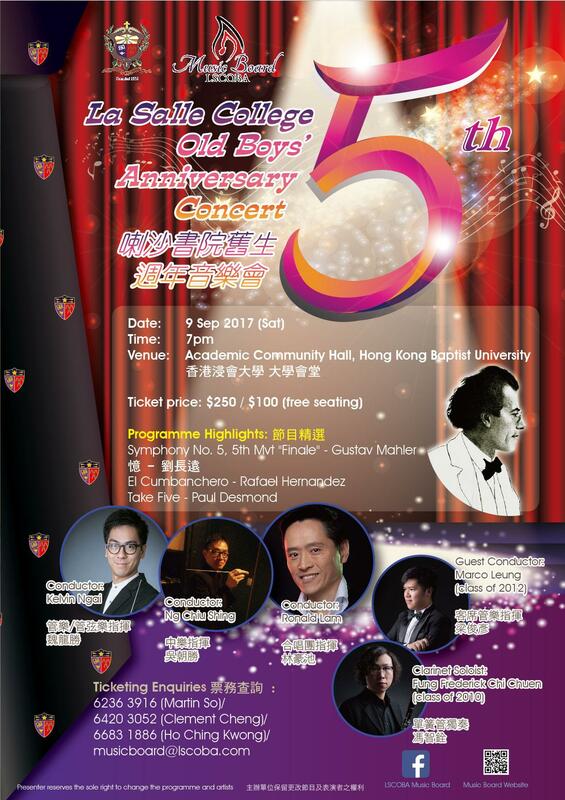 La Salle College Old Boys’ Concert 2017 will be held on 9 Sept 2017 (Sat) at 7 pm at AC Hall, HK Baptist University. Tickets are priced at HK$250 and HK$100 with free seating at designated sections. Kindly refer to our concert poster for details. Join us at Old Boys’ Concert 2017 - support us and support LSC! !